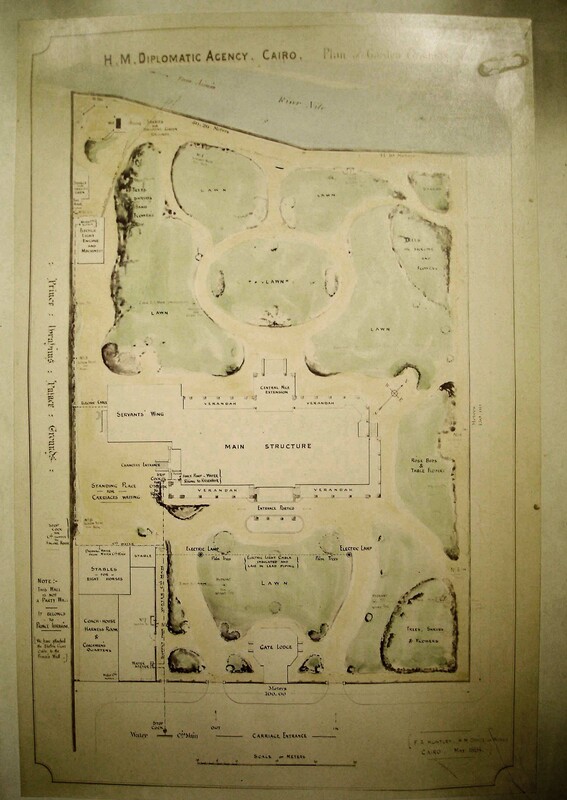 Huntley’s plan drawing of completed house and garden, 1894. 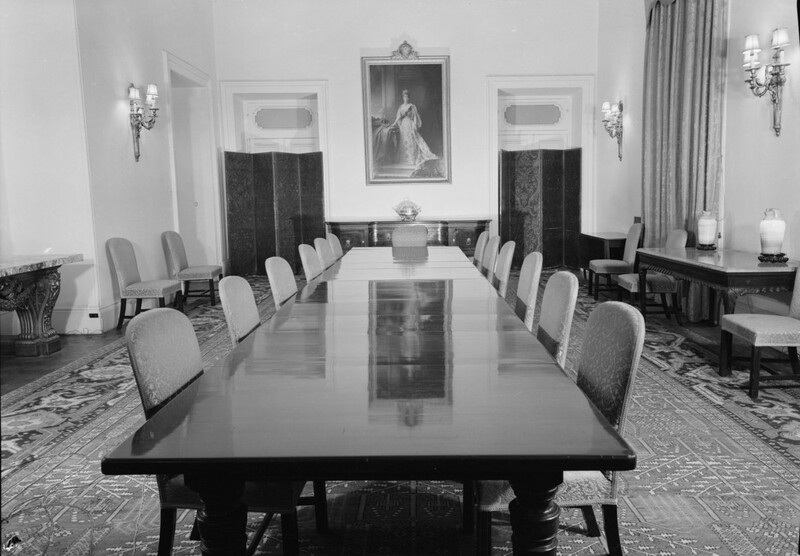 On his arrival in Cairo, Baring rented a house on Maghraby Street (now Adly Street) from a Mr Baird, but he and his staff quickly outgrew it and needed somewhere larger and better. Aware of this need, the local Church Committee in late-1885 offered first refusal for £6,000 of about 3,000 sq.m. of land that it owned, and on which a new agency could be built, between the church and the house that Baring was occupying. Baring was keen for this offer to be taken up. Algernon Mitford, Secretary at the Office of Works, although one of those still opposed in principle to building government houses abroad, was prepared to make an exception in the case of Cairo because he understood, as many failed to do, that leasing suitable houses was an inadequate policy if there were no suitable houses to lease. The Treasury therefore authorised Robert Boyce, an Office of Works’ principal surveyor, to visit Cairo and report, without any commitment whatsoever to spend the £20,000 or so that a subsequent project was thought likely to cost. 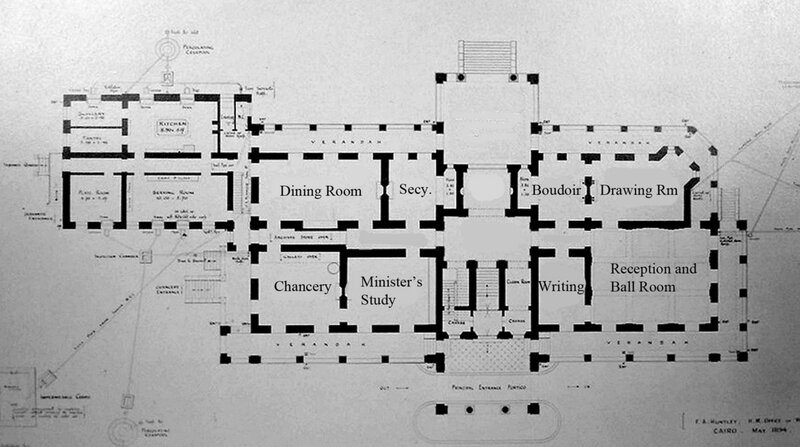 Boyce supported Baring’s point of view, negotiated the Church Committee’s price for the land down to below £4,000, outlined a plan for the site, estimated a total of £27,000 for the whole project, and urged a speedy decision because the Church Committee was considering an alternative offer. The Treasury rejected the project on grounds of expense in March 1886, arguing once again that accommodation should be paid for through allowances rather than by provision in kind. Baring responded with dignified ferocity, and the Treasury relented. Boyce revisited Cairo in February 1887. The Church site had gone but Baring had squeezed out of the Egyptians a 1.3 hectare site beside the Nile, in the aristocratic neighbourhood of Kasr al-Dubara. Boyce thought well of it: ‘On its west side it has an uninterrupted view of the country across the river – the pyramids being well in sight – and on the opposite side the citadel’. Boyce agreed a price for the land, and recommended making an immediate start on fencing, levelling and collecting materials. He proposed an outline plan for the house, which ‘will be a rectangular one of easy and simple construction and so far as I can judge not in excess of the present and future requirements of the Post’. Baring put Boyce in touch with Mr Crookshank, Director of Convict Prisons, who offered to procure stone, cement and lime through his depot at perhaps 30 per cent discount to market prices: this buoyed Boyce’s confidence that the whole could be achieved for the £30,000 by then accepted in principle by the Treasury. As the result of a debate in Parliament, however, the budget was cut to £22,000. Boyce shrank the plan and sent it to Baring for comment. Baring said that to build such a small house would be a waste of money, adding that the French had just spent over £30,000 on their new house. The Treasury decided in July 1887 that ‘My Lords are of opinion that it would be inexpedient to proceed with the scheme’, and withdrew the £22,000 from the Vote. Boyce pointed out that a watchman was needed to keep an eye on the stone and brick stored on the half-levelled site: that suggestion was also turned down. Baring let nearly two years pass before forcing the case open again. The Egyptians, he said, would now accept £2,580 for the site, instead of the £3,620 that Boyce had agreed, if the British government would promise to build on it. Boyce thought the house could be built for £25,000. Parliament decided in favour of proceeding. In May 1889, the Treasury agreed to buy the land at the lower figure but only in the next financial year, starting 1 April 1890: the Egyptian government agreed to this, and was now prepared to add to the plot, free of charge, a further 50 metre strip of previously reserved ground, thereby increasing the site from 1.3 to almost 2.0 hectares. 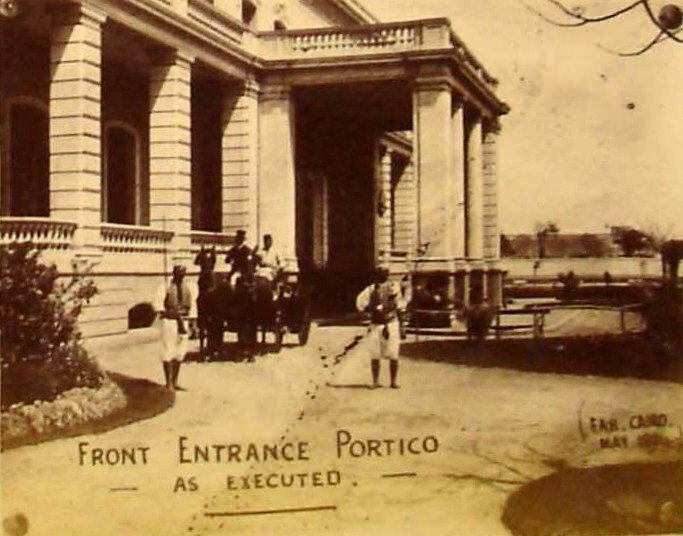 Boyce was despatched to Cairo again to mark out the site and get things moving (and point out that, as he had predicted would happen without a watchman, all the earlier collected materials had been stolen.) He had difficulty in making headway for want of both a good contractor to build a boundary wall and good superintendence. The local Department of Works could not help because it was low Nile season and its entire staff was fully occupied. 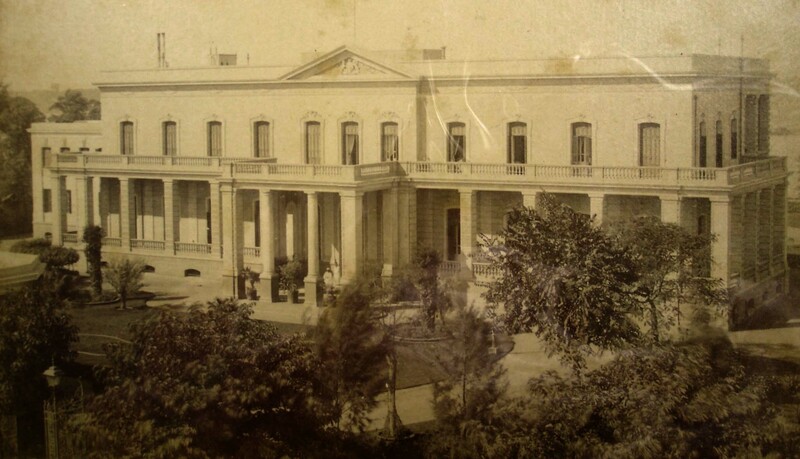 The Office of Works therefore sent Frederick A. Huntley, one of its own assistant architects, to Cairo in October 1890 as resident architect and clerk of works. 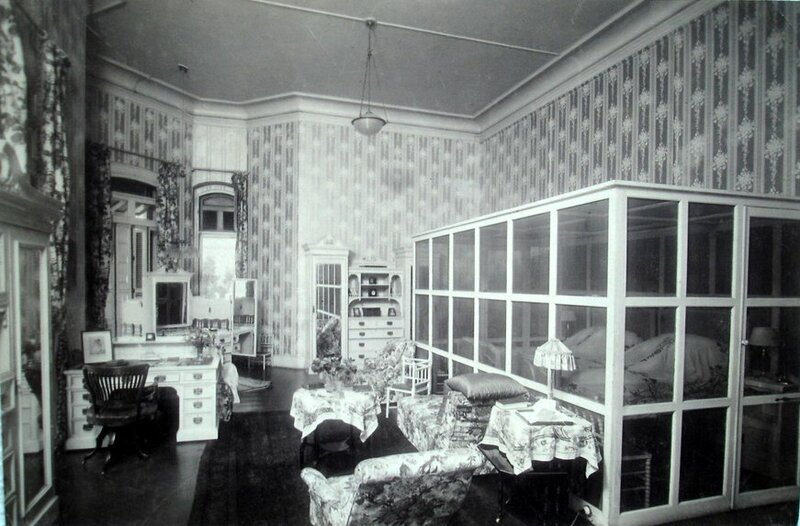 Construction of the house started soon afterwards and was completed in 1894. 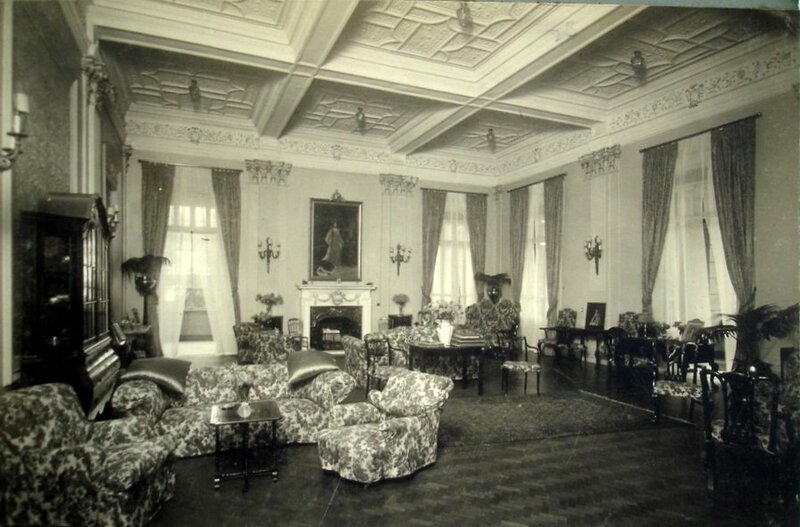 Various design changes and additions were incorporated, including building a (somewhat clumsy) veranda along the garden front at first floor level and enlarging the kitchen and servants’ wing. A separate block for stables, coach house, grooms’ quarters and stable yard was included. These changes brought the final cost to just under £40,000. Two years after completion, the basement floor level had to be raised to prevent the basement flooding during the high Nile season. 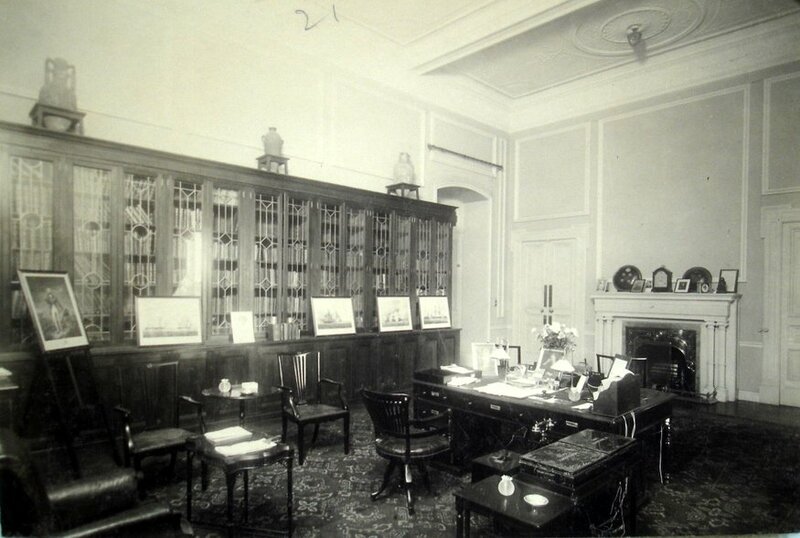 Around that time, too, Baring signed an agreement with Thomas Cook and Son allowing the tour operator to use the bank as a landing place for steamers and a mooring for motor boats. Baring, raised to the peerage as Lord Cromer in 1892, occupied the house until his departure from Egypt in 1907. His successor-but-one, Lord Kitchener, who arrived in Cairo in 1911, found the house too small for the scale of representation that he wished to carry out and pressed for an extension. This took the form of a free-standing new ballroom, almost certainly designed by Richard Allison, built in 1913-14 and costing £6,200. It is a handsome building, with a large area of sprung floor. 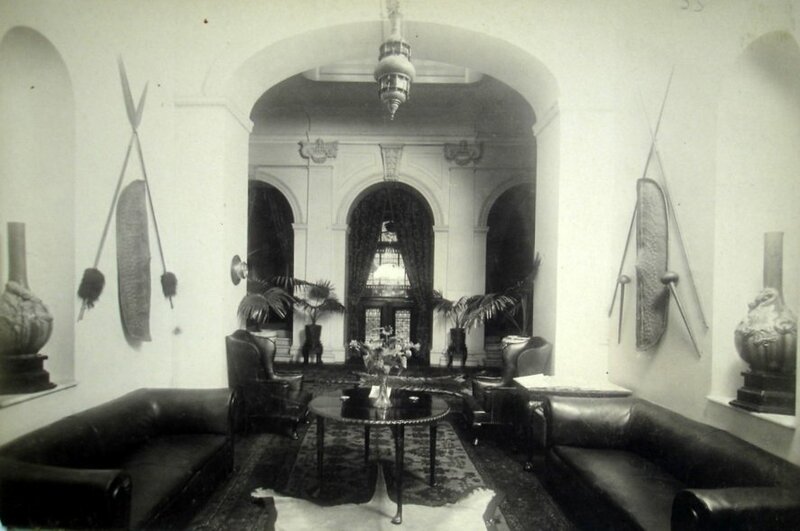 Baring and Huntley’s building now serves as a very fine ambassador’s residence, and is still sometimes referred to as Bayt Al Lurd – the Lord’s house. 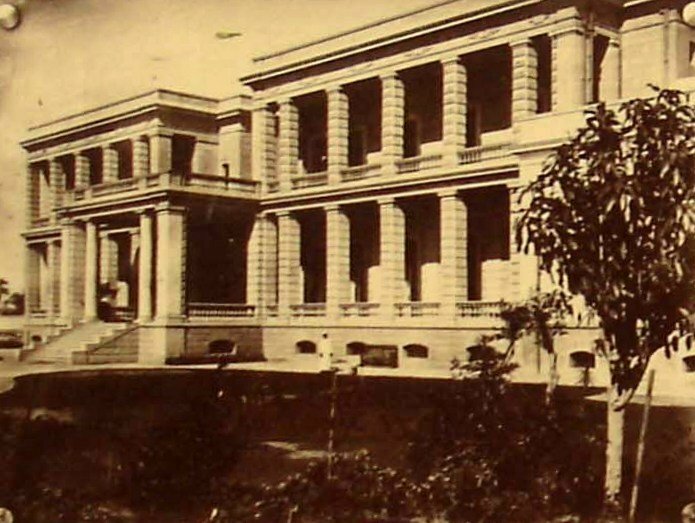 Main frontage at completion, 1894. 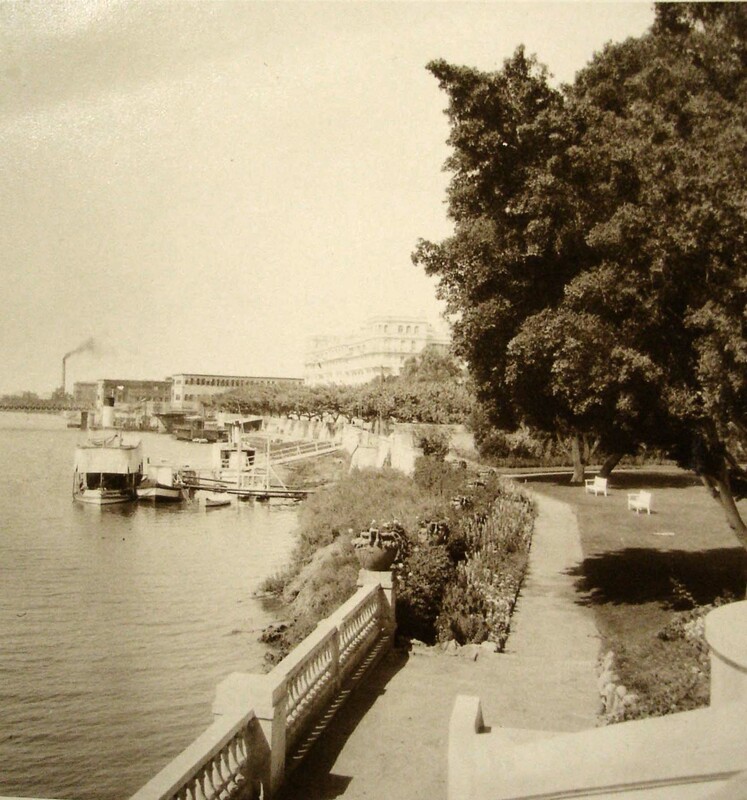 The garden reached to the Nile until the road was built along the bank in the early 1950s. 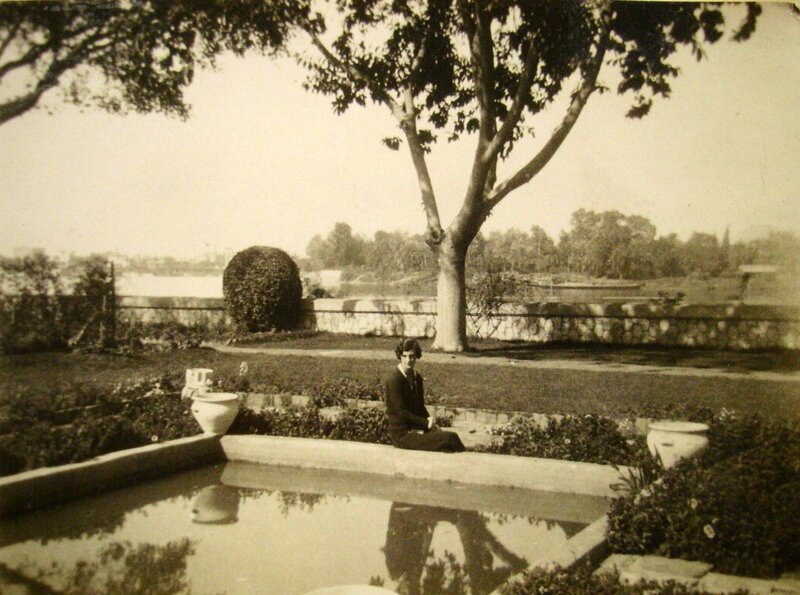 View across the Nile from the residence garden, 1930. 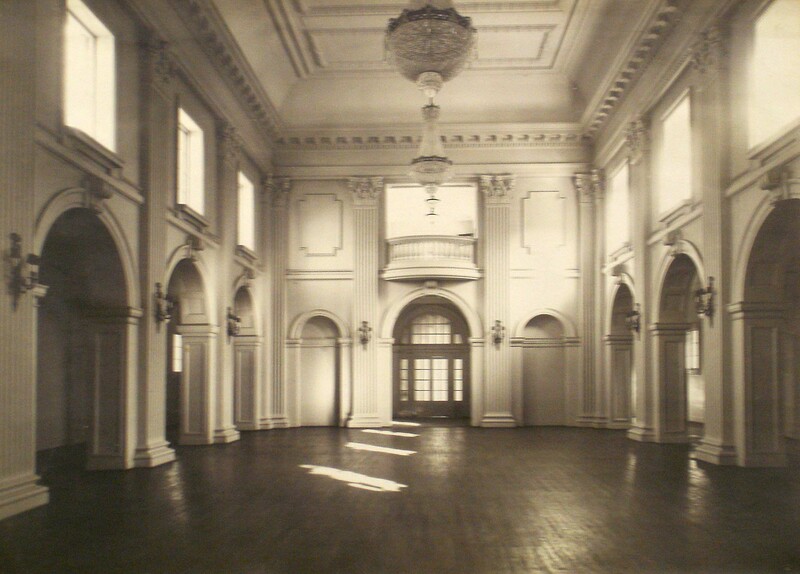 The small hall, looking across the main hall to front door and stair, 1930. 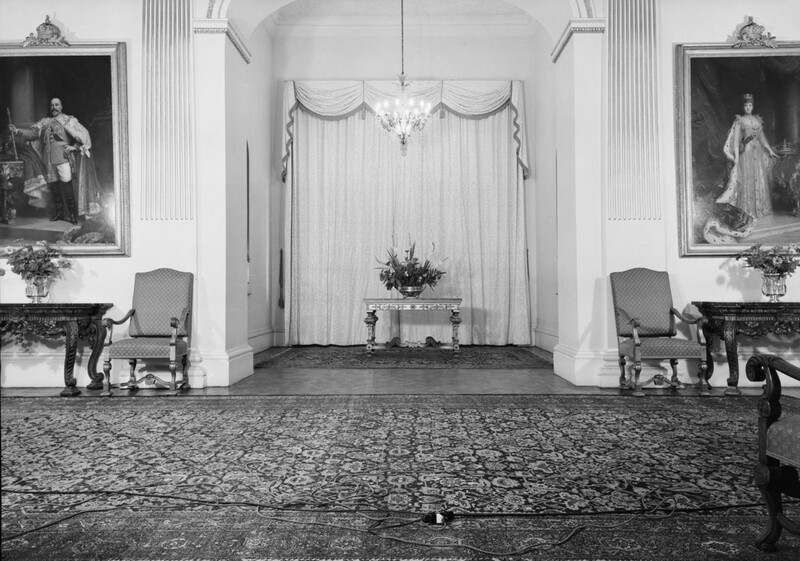 Small hall, across main hall, from front door, 1960.